Ford has a global footprint with production facilities in many places around the world, including Australia where it builds the locally designed Falcon passenger car and utility range, and the Territory SUV. The company has a comprehensive range of locally produced and imported passenger cars, SUVs and light commercials. 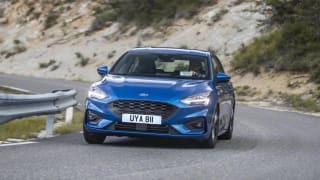 The passenger car range includes the compact Fiesta hatch, the small Focus hatch, mid-sized Mondeo hatch and the full-size Falcon sedan. SUVs include the Ecosport, Kuga, Everest and Territory. The light commercial range is made up of the iconic Falcon utility, Ranger two-wheel drive and four-wheel drive utility and cab-chassis variants, and European Transit vans and cab-chassis. 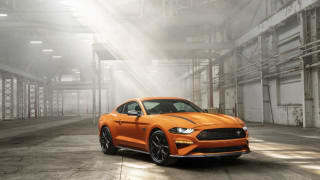 Ford Mustang supercharger boosts outputs to 522kW and 827Nm: Oz execs "looking at what's available"
No car is perfect, so we've gathered everything relating to the Ford here to help you decide if it's a smart buy. Ford Falcon 2009: Are there issues with the timing chain? Toyota HiLux: Will off-road suspension make it ride better? Ford Falcon 2001: How to change the wiring?